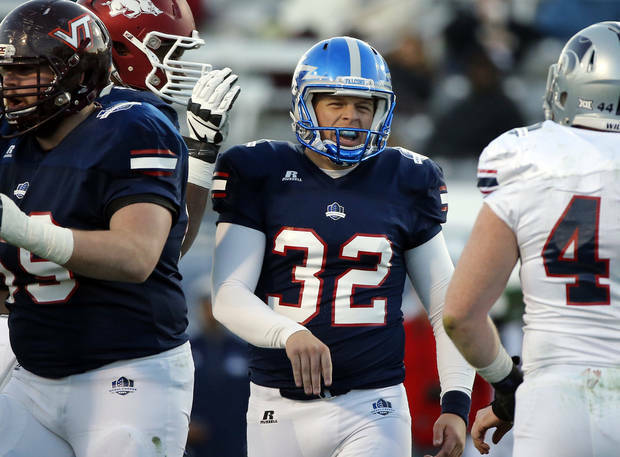 Air Force placekicker Will Conant, an Edmond Memorial graduate, capped his stellar senior season by making four field goals to help the National Team to a 26-14 win over the American Team in the second annual Medal of Honor Senior Bowl Saturday at The Citadel. Conant's longest field goal was from 36 yards, and he added a pair of point-after tries to account for 14 of the National Team's points. Conant made 19 of 21 field goals on the season and finished with 102 points, earning a spot as a Lou Groza Award finalist and the Mountain West Special Teams Player of the Year. The Medal of Honor Bowl is an all-star game featuring draft-eligible college players.